European regulators are letting down the citizens of the EU by allowing the use of harmful pesticides in agriculture and public green areas. In addition, the current pesticide authorization system is based on an “unfit for purpose” risk assessment regime that relies on industry-generated toxicity studies and ignores the potential to replace pesticides with non-chemical ecological alternatives. 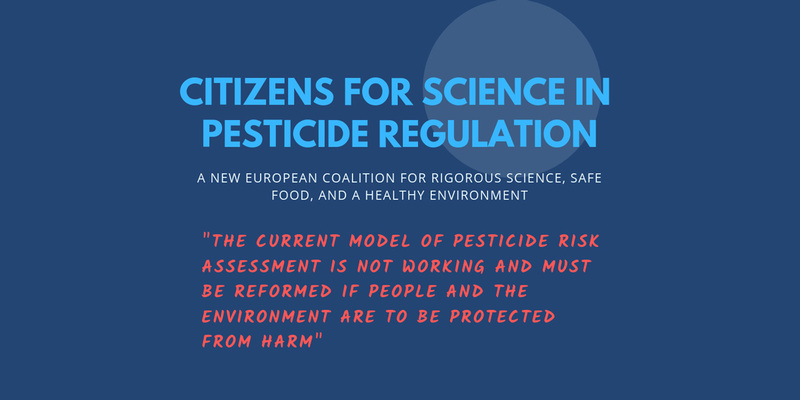 These are the messages of a manifesto for “rigorous science, safe food, and a healthy environment” published by a new European coalition, Citizens for Science in Pesticide Regulation (CSPR). The manifesto is signed by 118 civil society organisations and institutions – including GMWatch – as well as 25 individual scientists and experts. The stated purpose of the European pesticide regulation, in force since 2009, is to ensure a high level of protection of human, animal and environmental health. Pesticide products and residues should not be authorised if they are found to have harmful effects on humans, animals, and the environment. But unfortunately, this is far from the reality, according to CSPR. The pesticide industry does its own safety testing and is heavily involved in designing the methods for risk assessment. Expert panels of the European Food Safety Authority (EFSA) continue to include people with financial ties to the agrochemical industry. Scientific evidence indicates that humans and the environment are not being sufficiently protected from these harmful chemicals. Studies reveal an abnormally high rate of diseases in farming families and residents in agricultural areas, high levels of pesticide residues detected in food and the environment, and the decline of biodiversity and wildlife in proximity to agricultural areas. A. Prioritise public health, the environment and sustainable agriculture. Pesticides must be used only as a last resort when all other non-chemical alternatives have been tried and have failed. B. Ensure that decision makers rely on data that is complete, public, up to date and free from industry bias. Safety testing must be carried out independently of the pesticide industry. Data requirements for pesticides should be updated according to the most recent scientific findings to address human developmental diseases and impact on ecosystems. C. Enable decision makers, civil society and the scientific community to scrutinise the integrity and effectiveness of European pesticide policy. The results and data from all pesticide safety tests shall be published on the internet in a consistent and searchable format. The European Commission is currently reviewing pesticides legislation as part of its REFIT programme, the European Parliament has published a series of reports and has set up the PEST Committee to investigate the European Union’s authorisation procedure for pesticides, and the Commission has presented a proposal to increase transparency in European food law.